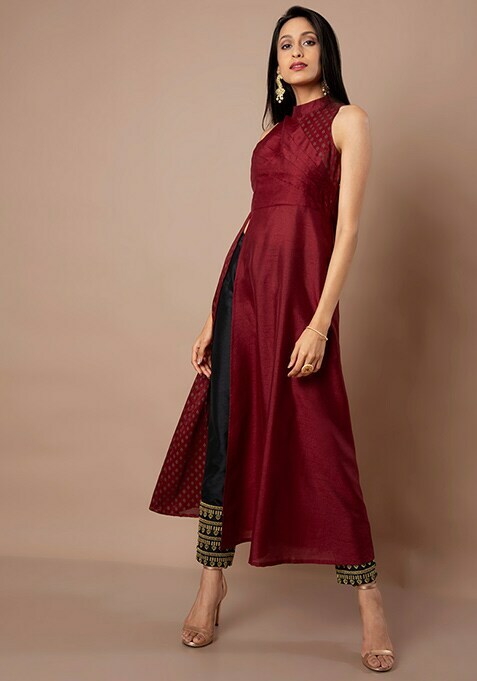 Herald your arrival at a party dressed in this elegantly tailored oxblood tunic. Featured printed panel on the shoulders. Work It: Team it with gilded heels and contemporary jewelry.